Employees can clock in from their phones, the web, or a tablet (iPad or Android) bolted to a wall in the break room. 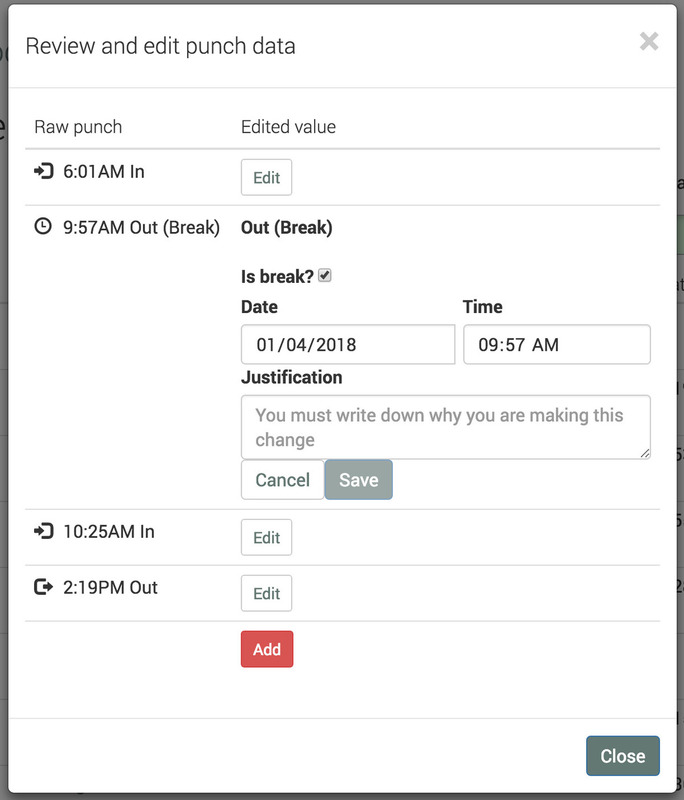 You can restrict where and when employees are able to clock in so that only people who are on the schedule and on location can record hours. 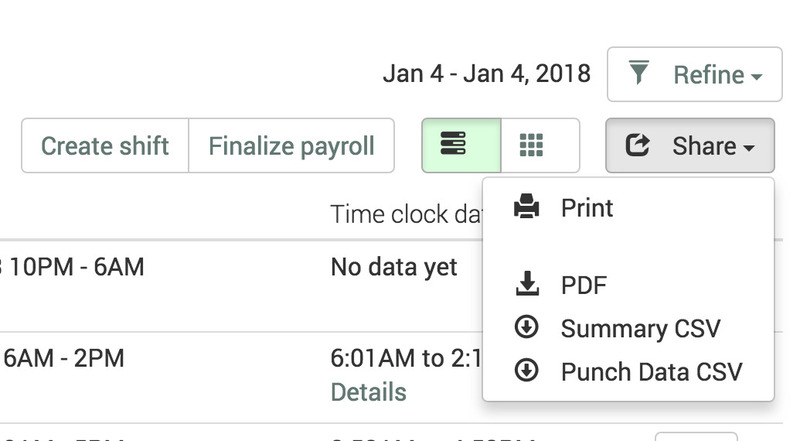 Until you export punch data to a payroll provider, an admin can edit a shift's punchesat any time. Cooperation tracks who makes the edits and when, and ask them to write a note describing the reason for the change. If an employee clocks out early and wants to use PTO to cover the rest of their shift, an admin can create that too. For every shift, you can see the actual versus budget labor costs in real time. Labor cost reports can summarize that data by role, employee, department, and date. Export to CSV is standard. Cooperation can also write custom XML exporters and interface to payroll provider APIs. Just contact help@getcooperation.com for customizable options.